From August 5th to 10th (still two days left, hurry up! 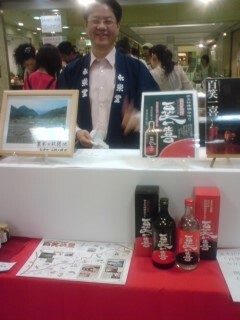 ), Isetan Deaprtment Store in Shizuoka City has finally come up with a proper event for the Prefecture of Shizuoka! 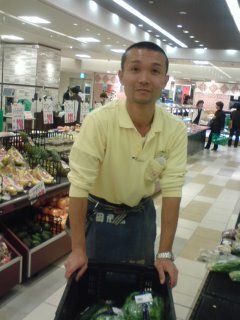 The upper staff of the company having been “changed” due to the recent merger with Mitsukoshi Department Store, we may hope to see a marked improvement in their general sales and events policies. 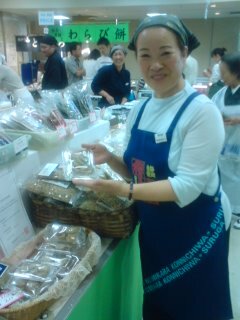 Although the event in itself was only on the same scale of the usual Food Fairs celebrating products from Hokkaido, Okinawa and Kyushu, that is a bit small for my own satisfaction, it was still an effort worthy of attention. Two friends of mine were serving some extravagant brews from Isojiman, Aoshima, Shidaizumi, Suginishiki and Hatsukame Sake Breweries. 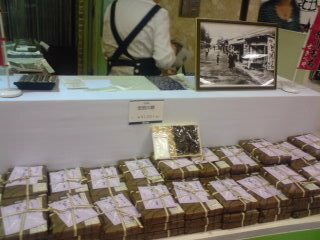 The celebrated Abekawa (Shizuoka City) Mochi, a very traditional Japanese cake had a stand at the very entrance. 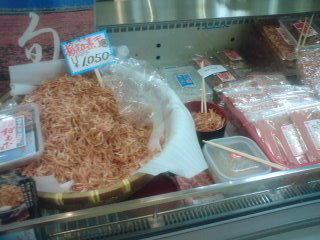 I discovered a really good soba and udon maker from Shibakawa Cho I intend to interview very soon! 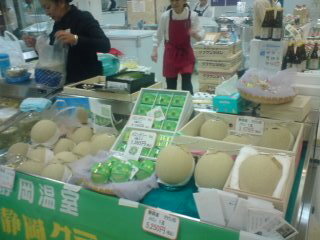 Everybody knows the great melons of Fukuroi City! Kawane is not only producing some of the best green tea in Japan, but have some interesting ways of turning it into food, such as “Kawane Ocha Man”! 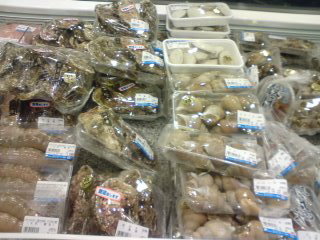 On the other hand, few people know that Shizuoka Prefecture and City make some extravagant meat and delicatessen products! 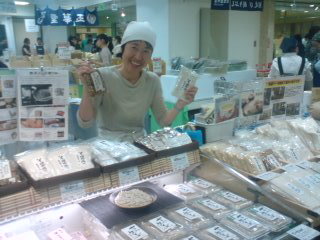 But kamaboko/Fish Paste from Yui has reached the plates (and saucers) in far away corners of the nation. 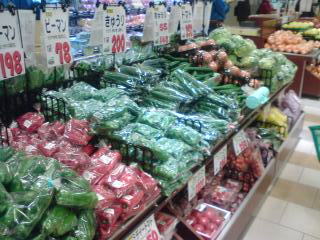 Farmers in Iwata City and its surroundings have long grown some of the very best tomatoes in Japan! 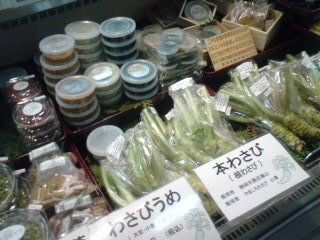 Do I need to introduce wasabi from Shizuoka City (I’m sorry, but they are better than those mass-cultivated in Izu Peninsula!)! Matsuzaki at the very tip of Izu Peninsula prides itself with its own extravagant shochu! but I even discovered a very nice lady whose company makes sardine biscuits in nearby Kambara! Naturally, I had to close the loop with my good friends at Oratche Brewery in Kannami who also produce some fine dairy products! 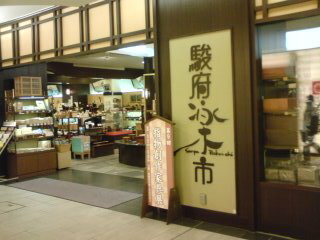 There is one (more) shop visitors, especially the ones in a hurry, should visit when going through Shizuoka JR Station, namely Sumpu Raku Ichi Store. 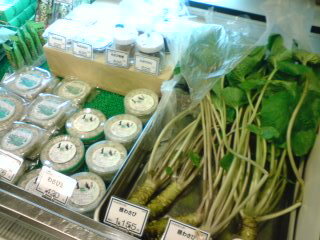 Anything concerning Wasabi, including enormous fresh Wasabi roots with their leaves, Wasabi Tsuke (Pickled wasabi stems and leaves in Sake white lees), cakes (especially made with Shizuoka Green Tea), Shizuoka Tea, Honey, Dried food, including Sakura Ebi/Shrimps, Kuro Hanpen (Dark Sardine Paste), Vinegars, Soy Sauces, Sake, Beer, and fruit wines, all exclusively produced in Shizuoka Prefecture from local ingredients! 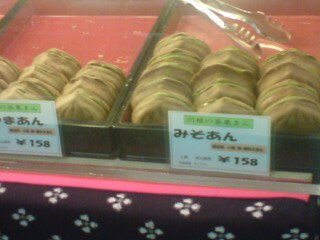 Another great source of miyage/present-souvenirs on your way back or to your friends! 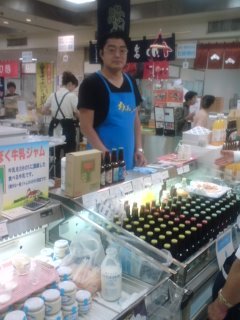 For the pleasure and convenience of many customers, PARCHE in Shizuoka JR Station is going through a general renewal, including their busy indoors market, FRESH MARKET. 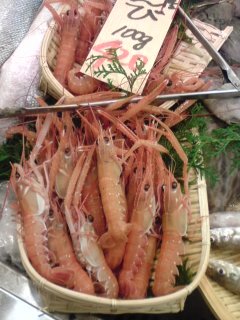 As this particular venture is directly connected to fisheries in Numazu and Yaizu Cities, one can buy not only fresh but also unusual products from Suruga Bay and Izu Peninsula such as “tenagaebi/scampi” and “kinmeidai/goden eye seabream”. 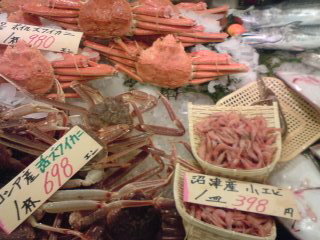 One will also discover a plethora of shellfish and crabs fresh and alive at vey reasonable prices. For people who cannot bother dressing or cutting fish, fillets can be bought readily made. 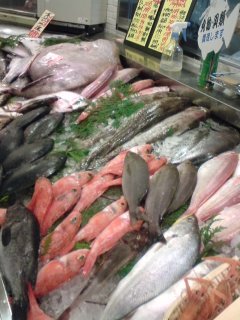 With a smile and a polite word you will surely convince the staff the cut the whole fish you have chosen. 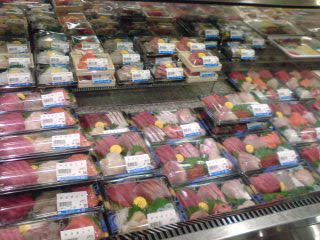 For sushi and sashimi officionados very good value sets are on constant display. 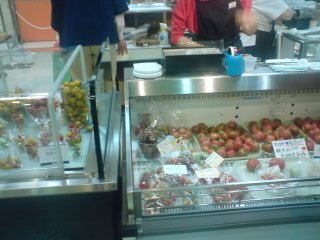 The vegetables and fruit stands also provide a great range of wares, a good proportion of them local produce. 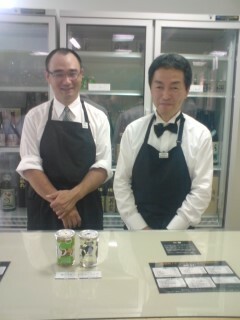 The staff are particularly welcoming and attentive. Do not hesitate to ask whether they have some kind of exotic plant. They will probably surprise you! 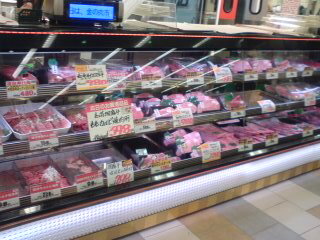 The meat stands have gone through a remarkable increase in volume, varieties and quality, too. 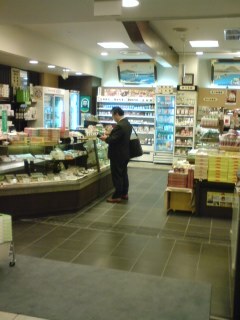 I make a point to do some shopping, if not window-shopping which can easily become a revelation, at least once a week. 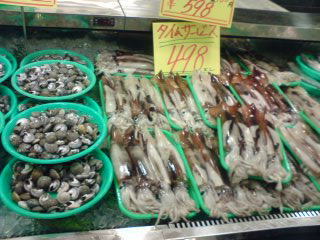 -If you want to have first pick at the fish and other marine products, come in the morning at 10:00. 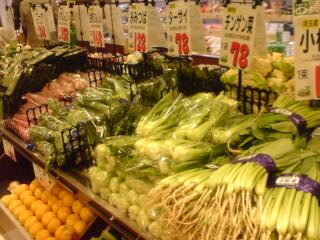 As for vegetables, new batches come around 15:00. In both cases it means you will compete with the local restaurants shopping for the menu of the day. -If you wish to save money, come at 17:00 when “price service” is in full swing. You will benefit from real bargains, but will lose on the varieties. 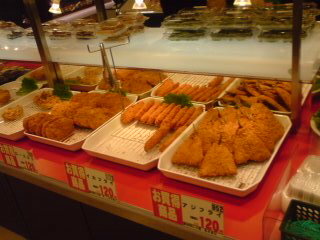 Another bonus are the ready-to-eat meals, bento, fried food and so on. Definitely of a higher level than your neighbourhood “convenience store”!